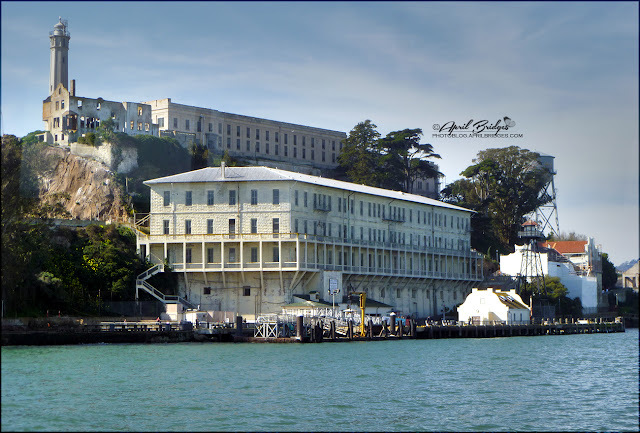 The Alcatraz Federal Penitentiary was a maximum high-security federal prison on Alcatraz Island, 1.25 miles off the coast of San Francisco, California, which operated from August 11, 1934 until March 21, 1963. 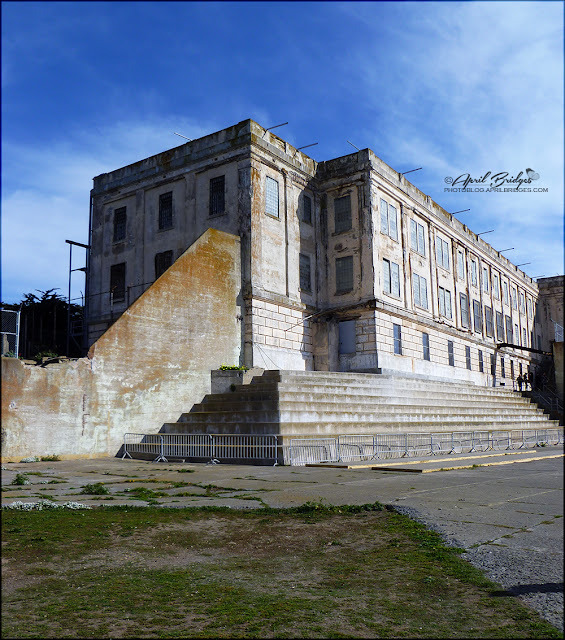 The main prison building was built in 1910-1912 during its time as a United States Army military prison; Alcatraz had been the site of a citadel since the 1860s. The United States Disciplinary Barracks, Pacific Branch on Alcatraz was acquired by the United States Department of Justice on October 12, 1933, and the island became a prison of the Federal Bureau of Prisons in August 1934 after the buildings were modernized to meet the requirements of a top-notch security prison. 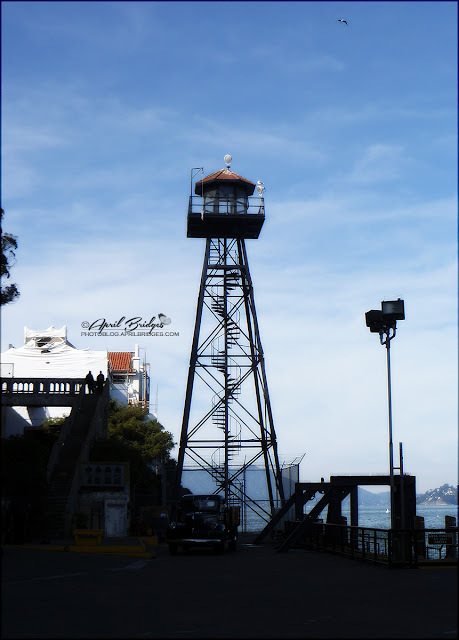 Given this high security and the location of Alcatraz in the cold waters and strong currents of San Francisco Bay, the prison operators believed Alcatraz to be escape-proof and America's strongest prison. 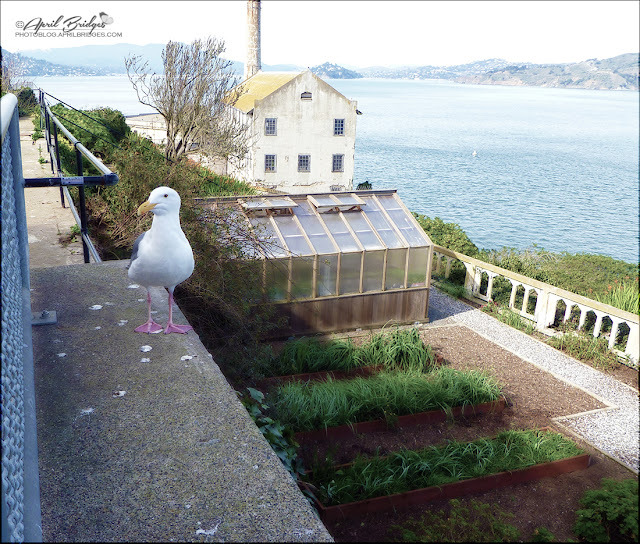 Alcatraz was designed to hold prisoners who continuously caused trouble at other federal prisons. One of the world's most notorious and best known prisons over the years, Alcatraz housed some 1,576 of America's most ruthless criminals, including Al Capone, Robert Franklin Stroud (the "Birdman of Alcatraz"), George "Machine Gun" Kelly, Bumpy Johnson, Rafael Cancel Miranda, Mickey Cohen, Arthur R. "Doc" Barker, and Alvin "Creepy" Karpis (who served more time at Alcatraz than any other inmate). So now that you know exactly what Alcatraz was, I'll share my photos from my two experiences visiting this incredibly interesting site. 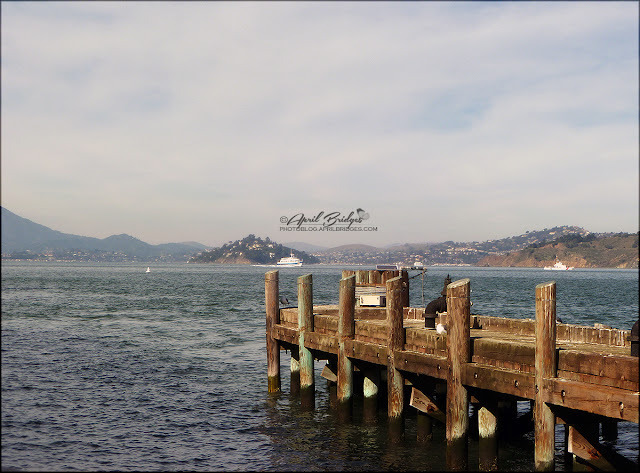 Our first visit was with my dad back in February 2015 and most of the photos from this post are from that. I didn't get nearly as many photos during our second visit, because of course, I'd already seen everything. 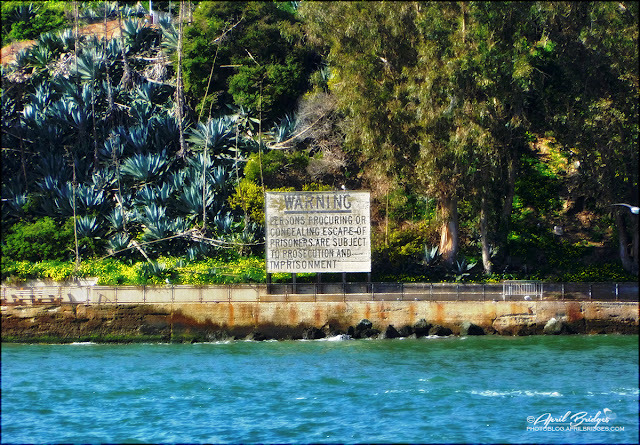 First off, I wanted to capture this old sign from the ferry, as we were approaching the island. Still on the approach; that building in the back is the main prison and held all of the inmates. One of the guard towers; these were manned 24 hours a day, with no exceptions. 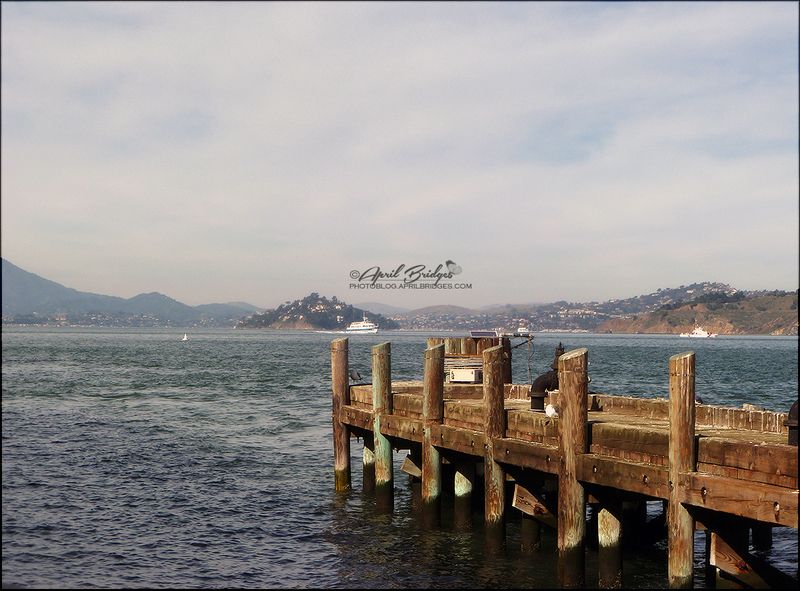 Just a pretty view of a smaller dock located around the island. 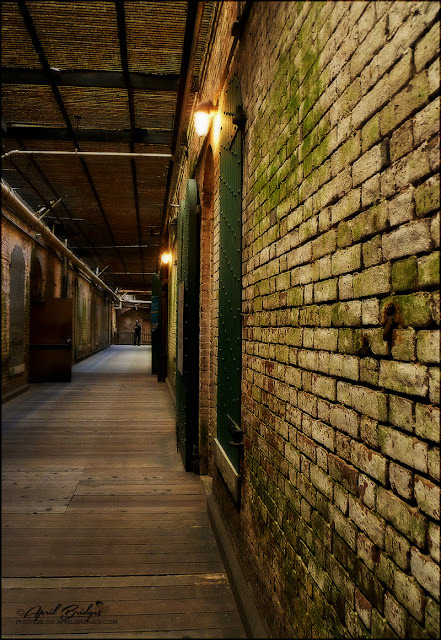 Inside the old army barracks building, which eventually was converted into apartments for the families of the staff. A view of some of the remaining area from the civilian part of the island, away from the prison. 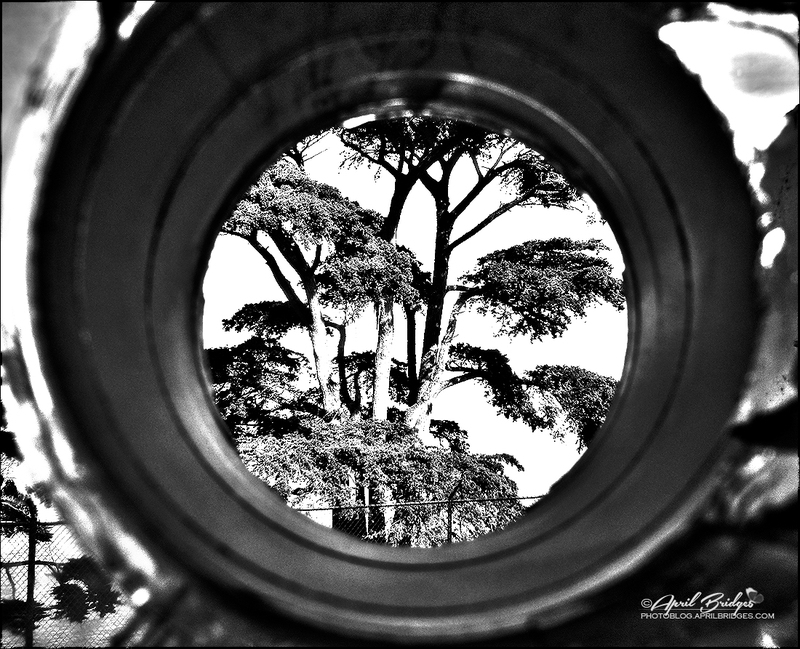 In a prison of strict regimentation, the yard offered rare freedom of movement, association and choice. 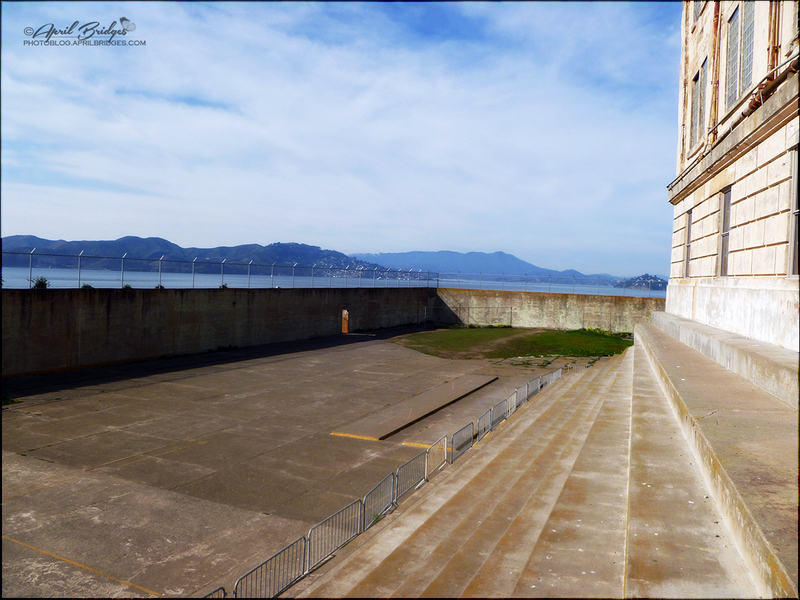 Some inmates chose to play baseball or run laps. Others simply walked to the top of the bleachers and looked out at what they were missing. Recreation yard for the inmates. That grassy area at the back was a makeshift baseball field. Looking back at the main prison from the recreation yard.